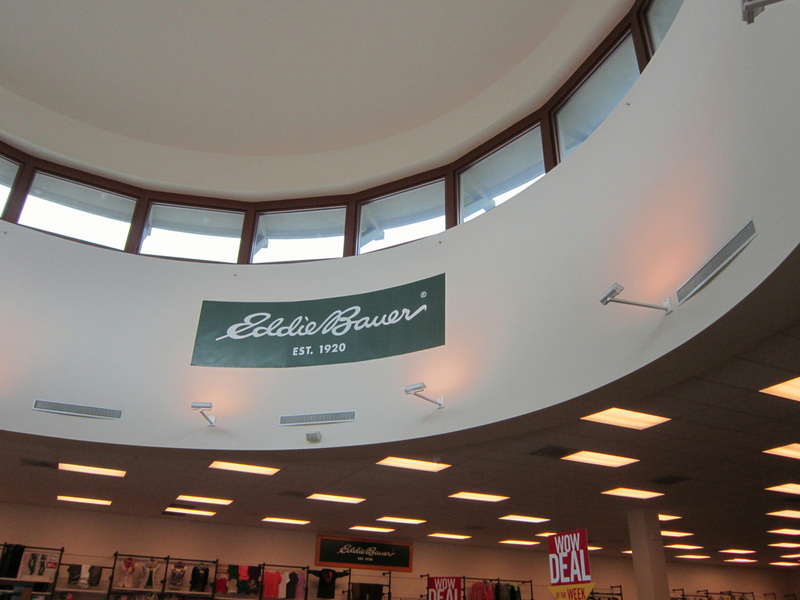 For many years this impressive rotunda entrance to our Outlet Store in Woodburn, OR only had a tiny vinyl banner for branding. I pushed to take full advantage of the space by painting the lower two-thirds with a focal brand color. 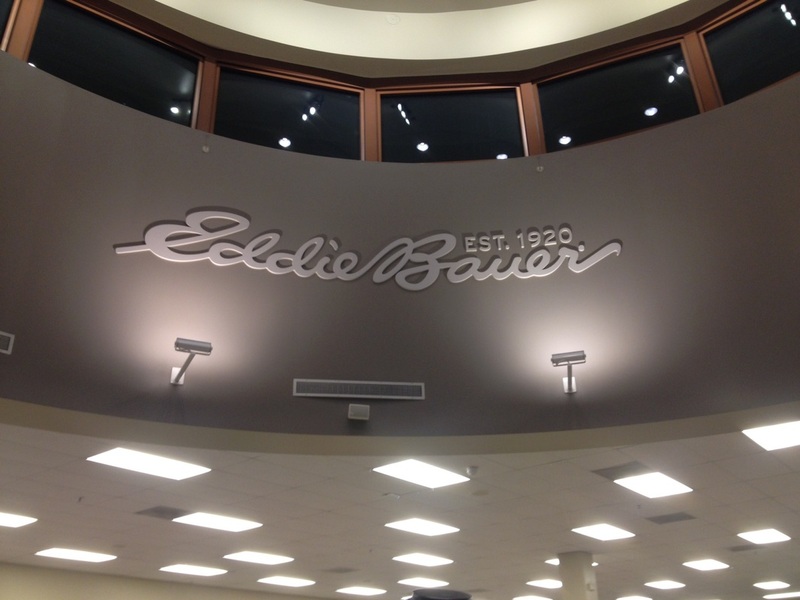 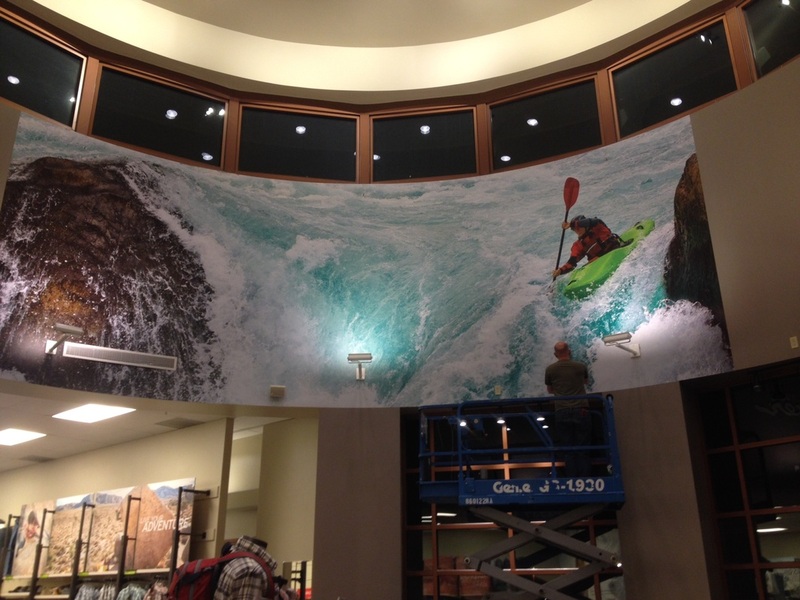 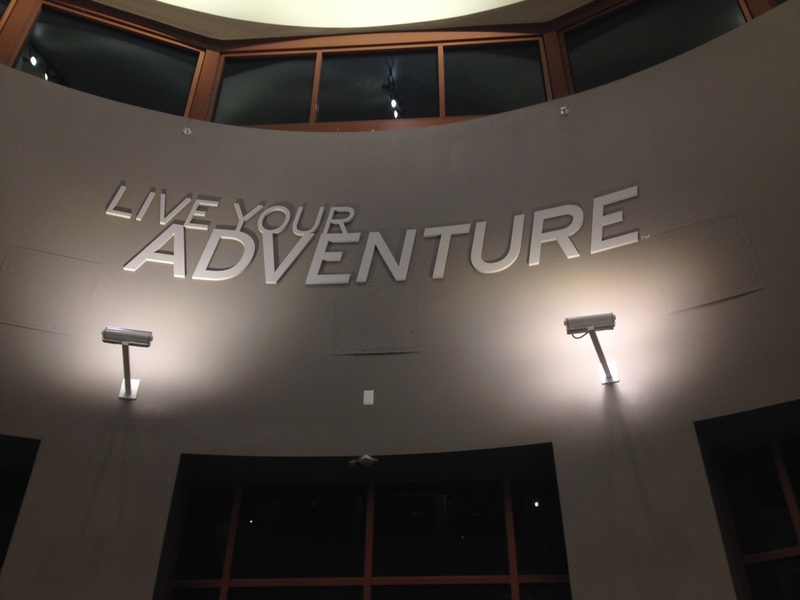 Larger than life graphics from our expedition library and dimensional lettering completed the 360˚ experience.